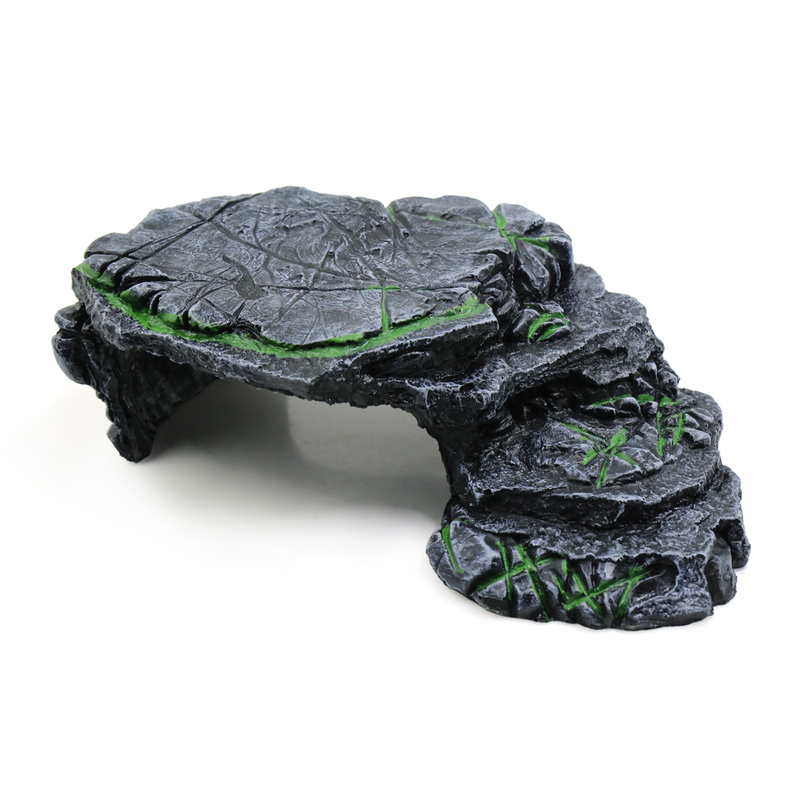 Made from resin, add a lively secnery to your turtle tank. It can provide lifelike living environment for your pets to play and hide. Attractive and functional decor. Easy to clean with warm, soapy water and rinse. A natural looking half log shelter, perfect for aquatic turtles, box turtles, or land tortoises. Pets get a natural place to hide in this cleverly designed climb stone. Offer a place for coolness, privacy and protection for them. Suitable for both freshwater and salt water aquarium. Clean the resin ramp with brush for removing dirt and impurities in cold water before using. It is recommended to clean the resin ramp once a week. For turtle tank use only, not suitable for fish tank. Note: Please allow 2cm error due to hand measure. Natural looking half log shelter, perfect for aquatic turtles, box turtles, or land tortoises. Provides shelter, hiding spots, entertainment venues for your pets.